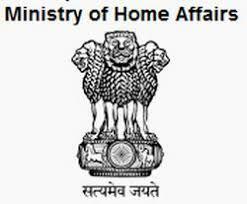 MHA Recruitment 2018.In the office of custodian of Enemy Property for India, Ministry of Home Affairs has released a notification for the recruitment of Assistant, junior engineer, stenographer, private secretary etc posts.Check the eligiblity and notification prior to apply for the positions. Applicants must be completed 10th/ 12th/ any degree from the recognized organization/ Board. Selected candidates will get pay per Rs.5,200 – Rs.56,700/-. Applicants may apply the application form through offline mode. 07th September 2018 top 29th October 2018 is the last date to submission of the application. https://mha.gov.in/ Is the link applicants can download application form directly and send to below given address before the due date. To the Under Secretary (Estt. ), Land Ports Authority of India, 1st Floor, Lok Nayak Bhawan, Khan Market New Delhi – 110003.